Sequins, a dope beat, puppets, hoverboards and Les Twins can only mean one thing, Missy Elliott has blessed us with some epic new music after a very long hiatus. After Missy’s surprise performance with Katy Perry at the Super Bowl earlier this year, we’ve all been patiently waiting for the hit-maker to bless us with another one of her epic tracks. Well, the wait is finally over. Missy Elliot dropped an amazing video for her new song “WTF (Where They From),” featuring Pharrell, and it’s just as glorious as you would expect. The video is vibrant, flashy and has all of the epic dance moves. Though Pharell doesn’t make an actual appearance in the video, a puppet that looks remarkably like him makes up for his absence. This is the first time the full version of “WTF (Where They From),” has been heard, even though ESPN has been using snippets of it in their NBA coverage for the past few weeks. We aren’t the only ones who are super thrilled that Missy is back at it, check out some of the best reactions from Twitter below. This woman who crowned Missy Queen. Election’s been cancelled. 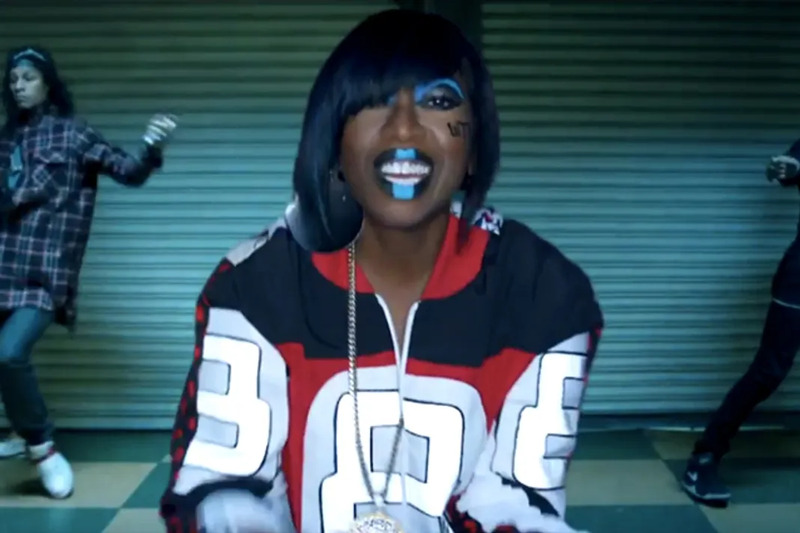 Missy Elliot is our new president. This woman who clearly has her priorities in order. Going to politely decline and walk away if anyone tries to talk to me about anything other than Missy’s new video today. This person who will happily be without cell phone data until after Thanksgiving. This woman who is probably standing in line somewhere at an arts and crafts store. I TOLD YOU. I’m spending the day making Missy and Pharrell puppets, so NO I will NOT be respecting my deadlines. This person who accurately used a classic Kanye quote to express her feels. Imma let you finish but 2015 had the best comebacks of all time: Missy, D’Angelo, Grace Jones? OF ALL TIME. This person who gave the ultimate praise. North West Is NOT A Fan Of The Paparazzi! The Cast of 'Willy Wonka and the Chocolate Factory' Reunited As A "Family"